Hm. Just me, or does it need some more work done on it? Well, I finally am trying to getthings underway again, but not promises. 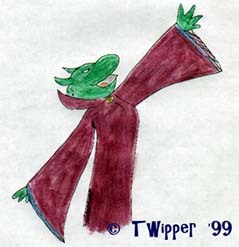 Teddy Ruxpin Tweeg Grubby Grundo Gazette Hit one for the Twipper One day, this will be the finest site around! I can see it!